A plasma cutter is a tool that is heavily used in cutting steel and other kinds of metals. This particular tool uses a gas that is blown out of a nozzle of a device at a very high speed. At the same time, an electrical arc is actively applied to the gas that is being blown out. This effectively turns the gas into plasma and it ultimately forms a very hot torch that can easily cut through metal. This particular tool is extremely useful in many situations from small workshops all the way to larger and more industrial sites. It makes cutting all kinds of metals an easy task and it can also make cutting metals much more accurate and more efficient. With a good plasma cutter, the professionals that deal with cutting metal can actually get the work done extremely quickly and accurately without requiring too much inefficiency. Because plasma cutters are constantly being updated, advanced, and innovated, new designs and technologies are being adapted every single day. Because of this, there are many different kinds of plasma cutters available on the market. Therefore, it can be difficult for a novice to sort through the differences and find the best one for themselves. In this article, we will be going over some of the different things that you should consider when you are trying to find the right plasma cutter. We will list some of the most basic things that you are going to want to consider when you are attempting to purchase your next plasma cutter. One of the most important factors that one should consider when attempting to find the right plasma cutter is the duty cycle. If you plan on using the plasma cutter frequently, but not continuously for a long period of time at once, then you are likely going to be better off opting for a cutter that has a lesser duty cycle. The amperage output of the cutter is actually what determines the duty cycle. For instance, a plasma cutter that has more of an amperage output will actually have more of a duty cycle than one that has a lesser amperage rating. If you plan on using the cutter for long periods of time continuously, you are going to want to purchase a plasma cutter that is going to be able to handle the kind of output that you require. 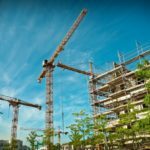 You will also want to factor in the thickness of the metals and other materials that you are going to be cutting through to ensure that the amperage is sufficient. It is always wise to consider the maximum thickness that the respective cutter can cut through to find the right tool for the job. Another factor that must be considered is the input power that the cutter has. This is something that you simply cannot afford to overlook when you are looking at the various cutters available on the marketplace. The truth is, almost all plasma cutters are going to require a high power rating in order to work efficiently. A typical plasma cutter is usually designed to work efficiently with 110 volts or 220 volts. Pretty much all cutters have high amperage ratings. Therefore, it is important to go for the plasma cutter that has a minimum amperage requirement output that can be met with the correct outlet. This will ensure that the plasma cutter gets sufficient power while in use. Also, it is important to make sure that the other appliances that are going to be plugged into the same outlet are not going to reduce the power that is distributed to the plasma cutter to the point where it is going to effect it’s performance. For this reason, it is always best to use an individual socket for the plasma cutter alone and not to combine it with other electronics and/or tools that can steal its power. The cutting speed of the plasma cutter is another factor that must be considered. Before you actually purchase the plasma cutter, it is important to consider the thickness of the metal that you are going to be wanting to cut. This is going to effectively help you determine what kind of cutting speed you are going to require. You will also want to think about the quality of the cut that you desire in order to really figure out what kind of cutting speed you are going to need. Some plasma cutters are able to provide three different cutting qualities including quality cut, rated cut, and severe cut. This type of cut is going to provide the best and highest possible quality cut. This kind of cutter is going to be mainly used for cutting mild and lesser steel in terms of thickness at its maximum cutting speed. Because the metal is typically not thick, the cut is going to be very smooth and clean. This kind of cut will give excellent quality cutting of even thicker metals and materials, but it will take a longer amount of time to achieve the cut. This particular plasma cutter is able to penetrate and cut very thick metals and other materials, but it will do so very slowly. This kind of cut do not provide the best quality and they also require a lot of post cutting clean up. 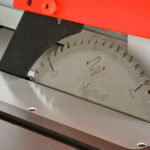 The speed of this cut is slow, but the speed does increase as the material is being cut. It is important to think about the kind of desired cut you want to get from your plasma cutter before deciding on which one to purchase. This will allow you to achieve your desired cut and condition. 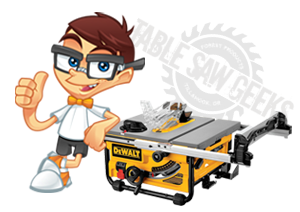 Another factor that you should consider when you are attempting to purchase the right plasma cutter is the start. Plasma cutters typically have two different kinds of starts; contact starts and high frequency starts. These starts are to initiate the pilot arc. If you plan on using the cutter with any kind of electronic device such as a telephone, computer, or television, a high frequency start is going to create a lot of interference with the controls of the electronics. Therefore, it is going to be much more risky to utilize a high frequency start plasma cutter. However, the plasma cutter with contact start technology does not create any kind of interference that you have to worry about with electronics. Also, this kind of start also typically provides a visible pilot arc which can effectively allow the user to see the arc and to be able to position the torch much more accurately when in use. Another very important factor to consider when you are attempting to find the right plasma cutter is the environment. You must keep this in mind because a dirty environment is not only going to provide dirty air to the plasma cutter, but it can also affect the long term durability of the device. Therefore, for environments that have a lot of heavy dust and/or shavings, there are kinds of plasma cutters that have built in fan controllers or even wind tunnel technology that are specifically designed in order to provide much better long term durability and accuracy. With the cutters that feature wind tunnel design, the cooling air is actually thrown through the device in a way where the air does not blow over any of the electrical components and the dust and dirt cannot get trapped on the PC board or other vulnerable parts of the system. Therefore, anyone that works in these kinds of environments should opt for a cutter that features these kinds of cleaning and filtering technologies. Another factor that must be considered when attempting to purchase the right plasma cutter is the air supply. A lot of the hand held cutters use normal air for the actual cutting process. Whereas, a lot of users might opt to use bottled nitrogen as a substitute in order to produce less oxidation during the process. Also, it happens to be much cheaper. However, for a lot of people, it might be difficult to carry around extra gas along with the cutter. Therefore, if you are dealing with more thinner materials and metals, you might want to opt for a plasma cutter that has a built in air compressor. Not only will this help you in the long run and save you money, it will also make the cutter much more portable. As you can see, there is a lot to consider when you are attempting to find the right plasma cutter. You want to make sure that you consider everything above in order to really find the right one for your particular self and situation. The main thing that you are going to want to do is find the plasma cutter that is going to work best for you. By looking at the factors above, you should be able to find the right cutter in terms of features and benefits that works for you.